Primp Tip: Brush, Sponge, or Fingers? For some of us, putting on makeup is almost second nature. We have our routines down and can even step away from the mirror in 5 minutes flat. But for others, the application process can pose more questions than productivity. When there are so many ways to apply your makeup, it’s easy to get confused on which way is the correct way to go about it. Which brings me to my latest Primp Tip… Today I will be debunking the brush vs. sponge vs. fingertip debacle. Using a brush to apply your makeup is a great way to give your skin an airbrushed finish. Brushes are known for their precision and also for their blendability. 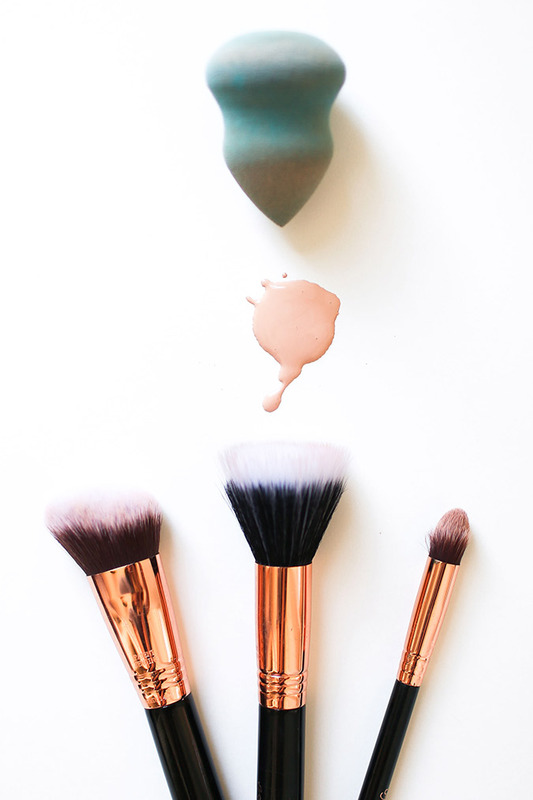 Whether you’re using powder or cream, brushes are versatile enough to get the job done. Tip: It’s important to start with a small amount of product and build up to your desired look. With a brush you tend to get a more concentrated amount of product and color, so blending it all out is essential. Similar to using a brush, sponges are known for their blended out, flawless finish. For an even distribution of product, wet the sponge before using a liquid foundation. By doing this you should get a sheer and lightweight look that is easily buildable. Like brushes, there are a variety of sponges used for different makeup techniques (highlighting, contouring, etc.). The only thing to be mindful of when using a sponge is that they soak up more product than a brush or your fingertips does. Last but not least, using your fingers to apply makeup is just as effective as using a brush or sponge. The warmth of your fingertips makes for more blendability—but be careful because you’re going to get more of a concentrated application. For colorful eye shadow and cream blushes, your fingertips will give you the best color payoff. If you’re going to use your fingers, be gentle! Always use a tapping motion with your ring finger and don’t use too much pressure. While there isn’t a dramatic difference between each technique, the end results should be similar as long as your product is blended into your skin. You never want a harsh line! It ultimately comes down to practice and preference. I find that I use my fingers when I’m in a rush as opposed to a brush or sponge when I want a more done-up look. So, which method do you prefer?